April of Senior year is now upon me and I feel my oldest son’s childhood slipping through my hands like sand through an hourglass. If life were a board game, I’m not gonna lie, I’d be cheating and flipping that hourglass over when no one was looking. How did we get here with so few grains of sand left in the top and so many in the damn bottom? The acceptances, and rejections, are all in and the decision looms large with the deadline to choose just weeks away. The end of year notifications are rapidly flowing in for AP Exams, trip dates, prom, senior events and the unofficial pinnacle of childhood…graduation. There is so much to be excited about. And at such an exciting time, it all feels so bittersweet. These events and looming graduation feel like they mark the end of his childhood. 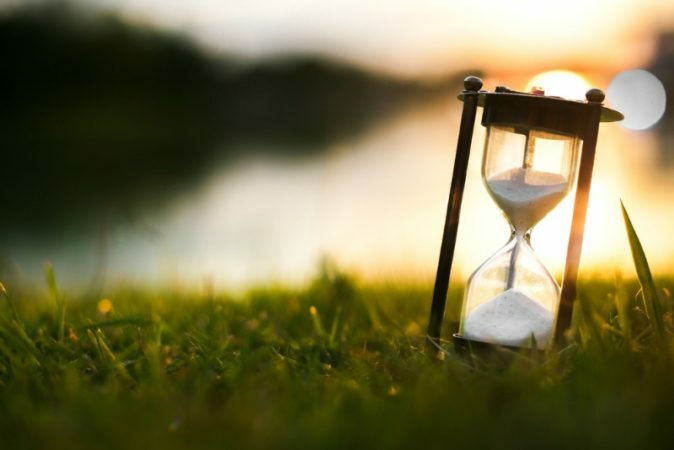 The grains of sand in the hourglass are the minutes of childhood just ticking away. For every reader sadly nodding in agreement, I’m aware there’s also one that is cheering with thoughts of relief that it’s over. I get that. But I’m not that mom. Don’t get me wrong, I’m immensely proud of him and all he’s accomplished. And I’m equally proud of myself for raising an incredible human being. But, I’m the mom lost in nostalgia this year. I’m appreciating the now but so frequently finding myself recalling how we got here, and so quickly! My mind races like a highlight reel. He’s so absent these days as he breezes in and out of the house, going to and from work and his social life and when he’s home, he retreats to his room, his quiet safe space. And I can’t blame him. I remember being a teen and finding comfort in my own quiet room. So the highlight reel plays on in my head recalling years and years of memories – the good, the bad and all the in between. There are parts of the coming years that I expect to be good for our relationship. Close friends have told me how much their teens matured once leaving for college and how they came home with a new respect for mom and a bit less teenage attitude. That part I’m looking forward to. There’s such a balance to be struck at this stage of the parenting game. Celebrate the accomplishments and acceptances and enjoy the events and end of senior year, all while “mourning” the end of an era. I sometimes struggle to find the strength to put aside my own fears and apprehensions of the unknown future and put on my big girl pants to help guide him through his upcoming life choices about college and career. My son doesn’t make choices easily. He’s a habitual over thinker. I’m fully aware he gets that from me. It’s clear that my job as his parent is to help him sort out his options and make the best choices for his future right now. But I wasn’t anticipating the strength it takes to gently push him out of the nest when all you want is to pull him back in and say, “not just yet”. As the sand in the hourglass runs out, I look at my toddler niece and nephew and, for a very brief minute, envy the fact that my sister has so many years ahead of her to feel important and to hold them both close. Trust me, I do not want to go back to that stage because it, too, was freaking exhausting. But stop and pause to recall your teenager as a cuddly four-year-old…Their need for “Mommy”…Their love of the simple things to make them happy….Friendship was easier for them – no drama because any kid with a similar interest at the playground would do. They had so many grains of sand left in that full hourglass of childhood. And it showed in their pure joy. My hope for the last two months until graduation is that I can find it within me to take a step back and appreciate it all. We moms of seniors need to avoid getting lost in the minutiae of the daily tasks left to be accomplished before June. We need to look at these incredible humans we’ve raised and just appreciate how much they have grown, all they have accomplished, and all that the future has in store for them. We need to pour a glass of wine and pat ourselves on the back for a job well done! And despite it being the end of an era, on graduation day you can bet I’ll be there with the biggest of smiles and the happiest of bittersweet tears, secretly flipping the hourglass in my pocket. Victoria Duffy is a mom of three: a 17-year-old son and 11-year-old boy/girl twins. Her life can only be described as “organized chaos”. She juggles a full-time job and the chaos of motherhood. Like most moms, she never gives herself enough credit and always feels like she’s falling short both at work and at home.